Here are some interesting Germany Facts which were chosen and researched by kids especially for kids. Population: 82.5 million people live in Germany (2014). The majority of the people live in cities and towns. Capital: Berlin with 3.5 million inhabitants is not only Germany's capital city but also the biggest city. Germany lies in the center of Europe and shares borders with 9 countries: Denmark, Poland, Czech Republic, Austria, Switzerland, , Luxemburg, Belgium and the Netherlands (clockwise from the top/north). Germany is the second most populous country in Central Europe after Russia and many immigrants from the European countries live and study in Germany. The Baltic Sea (in German: Ostsee), the North Sea (in German: Nordsee) and the lowlands form the natural borders in the North of Germany and the Southern Germany borders are formed by the Alps mountains and Lake Constance (in German: Bodensee). The highest mountain in Germany is the 'Zugspitze' (which means 'windy peak') with 2, 963 metres (roughly 10, 000 feet). Germany's highest mountain is one of Germany's top attractions and many tourists visit the mountain top every year. You can take a cablecar up to the top of the mountain and have spectacular views of the Alps and the scenic Bavarian countryside from there. Munich: for studying the arts, experiencing the famous Oktoberfest and the typical Bavarian "Gemütlichkeit"
Castles: There are more than 25 000 castles in Germany, make sure to visit at least one of our top ten castles. Germany is well known for great poets, such as Johann Wolfgang von Goethe (you see him in the pictured above in the famous painting by Tischbein) and Friedrich Schiller, and narrators and authors, such as the Grimm brothers (remember the tale of Hansel and Gretel) or Thomas Mann. Because of these splendid writers and scientists and inventors like Albert Einstein, Robert Koch or Gottlieb Daimler, the country is often referred to be the "Land der Dichter und Denker"(country of poets and thinkers). 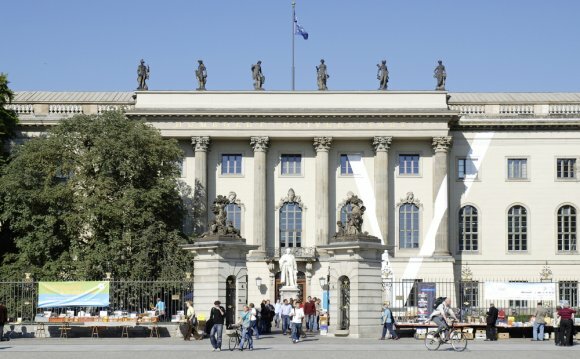 Germans love going to the museums, concerts and theatres. These places which are well maintained and supported, so you will find many interesting places you can visit. Germans also love sports! any Germans are active in sports clubs such as soccer, tennis or gymnastics clubs. In schools, the most popular sports activities are soccer, volleyball, basketball, ballet and dancing. Sports idols Sebastian Vettel (Formula 1), Bastian Schweinsteiger (soccer) or Maria Hoefl-Riesch (skiing) are supported by most Germans proudly. Die nation's soccer league, called Bundesliga, is followed closely by soccer fans and Bayern Munich or Dortmund are firm favourites of many Germans. The most popular sports in Germany are soccer, tennis, swimming and skiing (although the latter mainly in the southern and eastern parts of the country, where there are high enough mountains with skiing facilities). Most of the German main dishes contain either meats, such as pork, beef and veal or fish. Germans often eat potatoes, but pasta dishes are also very popular, especially with the younger generations. The Germans love their bread, which is mainly a mix of wheat and rye flour and is much darker and has a hard crust. Bread rolls are also eaten. Sauerkraut, Sausages and Brezeln (Pretzels, see in the picture above) are surely the most famous German food exports and in Germany you will find fresh bread, bread rolls and pretzels as well as delicious cakes and pastry in the numerous bakery shops. Even little villages often have more than two bakeries and you will have the choice of many different types of bread and rolls. Germans love their meat, but you will find more and more vegetarian dishes on the menus in restaurants now too, although there are many more variations of dishes with meat available. Schweinebraten (roast pork knuckles) is very popular in Southern Germany while Rinderbraten (beef roast) is more popular in Northern Germany.